Quarter By Quarter Performance: which provides information about each teams' record in each of the four quarters - the proportion of them that it has won, and the ratio of points that it has scored to points that it has conceded in each quarter. As we get further into the season and trends begin to emerge, we'll start to do some comparative analyses using the data from the Dashboard. 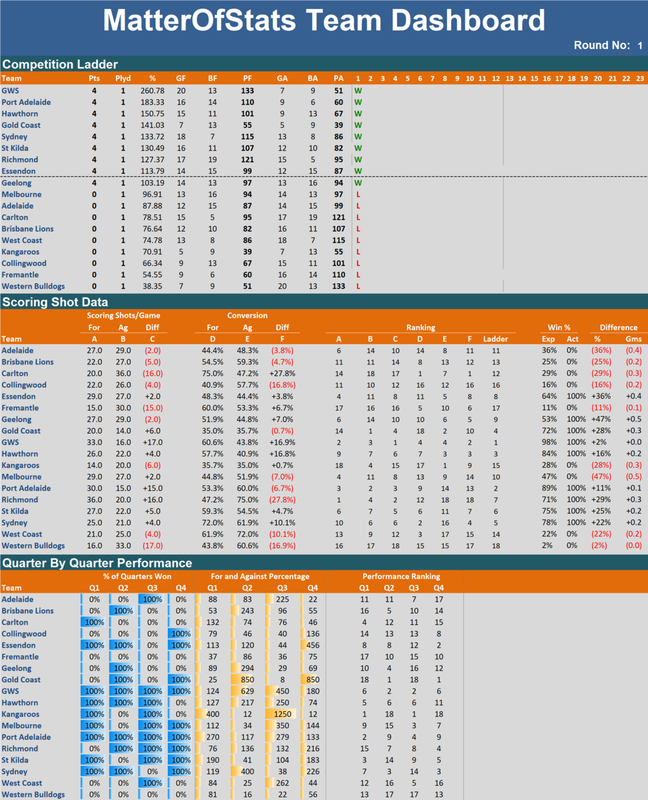 For this week, though, I'll just provide the Dashboard itself.